What About Paris? : Van Doren on Wordsworth. We no longer require humor in poets. We demand salvation. Of that commodity, Wordsworth still supplies the purest sort. --Mark Van Doren, 1950, commenting on the subtle graduation of William Wordsworth (1770-1850) from his role as "nature poet" to one of philosopher who offered hope and reassurance to troubled Europe. All his life, Wordsworth preferred the beauty and solitude of the outdoors to London and the most literary cities on the Continent. His poetry was seeing, feeling and emotional, its inspiration springing from northwest England's famous Lake District, where he was born, wrote and spent most of his life. 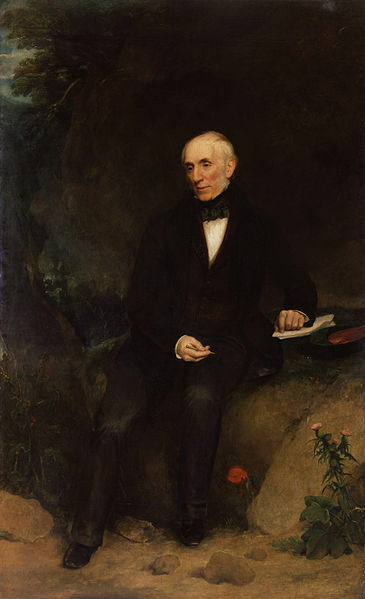 In his younger years especially, the upheavals in France between 1789 and 1799, and his extensive travels through Europe, made Wordsworth sad, cynical and pessimistic about man and society. Writing 100 years after Wordsworth's death, Mark Van Doren (1894-1972), the remarkably influential Columbia English professor, himself a poet who won the Pulitzer Prize in 1940, gave Wordsworth high marks for his power in his later years "to soothe and console an age fallen victim to philosophic despair."